On OCTOBER 24th, 2018, Chris Burkard will be leading a collaborative photo workshop in the Flatiron District in Manhattan. 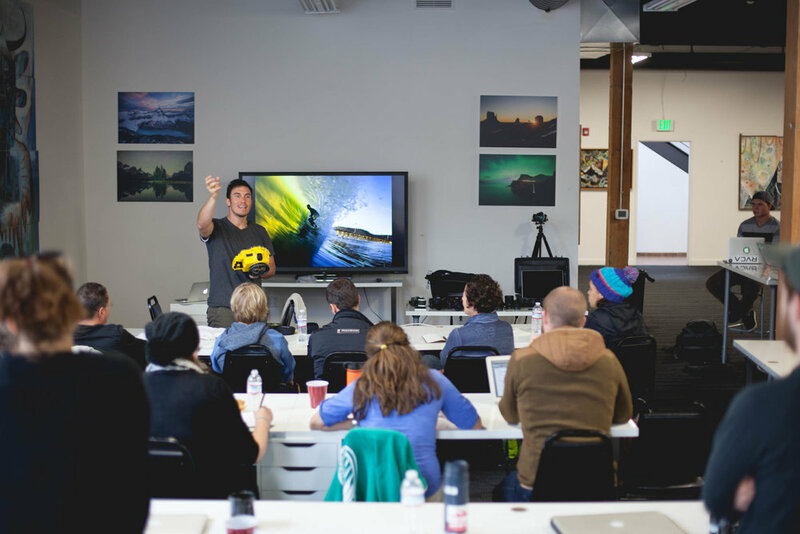 This 1-day workshop will go from 8:00am-4:00pm and cover an in depth look into running a photography business and building your brand. Following a group session format, students are encouraged to ask questions enabling an organic and spontaneous learning environment. - Utilizing social media to build your brand and other tools to get your work out there. - Developing a style and aesthetic to your work. - Being a curator of your own work. - Shooting for a magazine, client or brand. - Working with editors and creative directors.